Dominique Lévy is pleased to present Gego: Autobiography of a Line, the first in a pair of exhibitions in New York and London celebrating the legacy of German-born Venezuelan artist Gego (Gertrude Goldschmidt [1912 – 1994]). In Gego’s intricate wire sculpture, line becomes a newly dimensional language with which to describe architectural space and engage the human body. Her practice is defined by radical abstraction, giving deeper narrative to forms both graceful and monstrous. The first gallery exhibition ever organized in collaboration with Fundación Gego, Autobiography of a Line brings together key works from the artist's oeuvre, lent from several institutions including Fundación de Museos Nacionales, Venezuela, Colección Mercantil, Venezuela, Museum of Fine Arts, Houston, and Cisneros Fontanals Art Foundation. The exhibition reunites Gego’s celebrated Chorros for the first time in New York City since their debut at Betty Parsons Gallery in 1971. This group of towering wire sculptures, created between 1970-71, embodies the palpable sense of entropic geometry and spatial play for which Gego’s œuvre is internationally admired. Also on view are late sculptures from the artist’s series of Dibujos sin papel (Drawings without Paper); small-scale Bichitos (Creatures); and works on paper that complicate and question the relationship between drawing and sculpture such as the Tejeduras (Weavings) and other series created during Gego’s long career. Autobiography of a Line will be followed in Summer 2016 by a second exhibition devoted to Gego at the gallery’s London space at 22 Old Bond Street in Mayfair. In conjunction with these exhibitions, Dominique Lévy will publish a fully illustrated catalogue examining Gego’s work in a contemporary global context. It features texts by curator Chus Martínez, head of the Institute of Art of the FHNW Academy of Arts and Design in Basel, Switzerland and art historian and critic Kaira Cabañas, and previously unpublished archival material. The book also includes “GEGO,” a new poem by writer, visual artist, and composer Anne Tardos, exploring the artist’s poetics of the line and performing a linguistic intervention in her work. 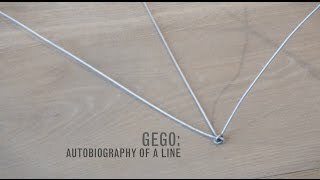 Dominique Lévy presents Gego: Autobiography of a Line, the second in a pair of exhibitions celebrating the legacy of German-born Venezuelan artist Gego (Gertrud Goldschmidt [1912 – 1994]). Organised in collaboration with the Fundación Gego, Autobiography of a Line is the artist’s first solo exhibition in London, and includes a selection of works spanning her career. Notably, three monumental sculptures made in the 1970s, which embody the palpable sense of entropic geometry and spatial play for which Gego’s work is internationally recognised, will be on view. These sculptures find their parallel in the artist’s towering wire Chorros, which were displayed in the New York exhibition last autumn. 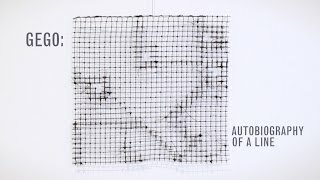 Also in the London instalment are a selection of ink drawings on paper and late works that complicate and question the relationship between drawing and sculpture such as Dibujos sin papel (Drawings without paper), Acuarelas (Watercolours), and Tejeduras (Weavings). The exhibition includes loans from the Museu d'Art Contemporani de Barcelona (MACBA), the Museum of Fine Arts Houston (MFAH), and the Fundación Gego.